Universal Pictures has unveiled the first official still from Seth MacFarlane’s new western comedy “A Million Ways To Die In The West”. 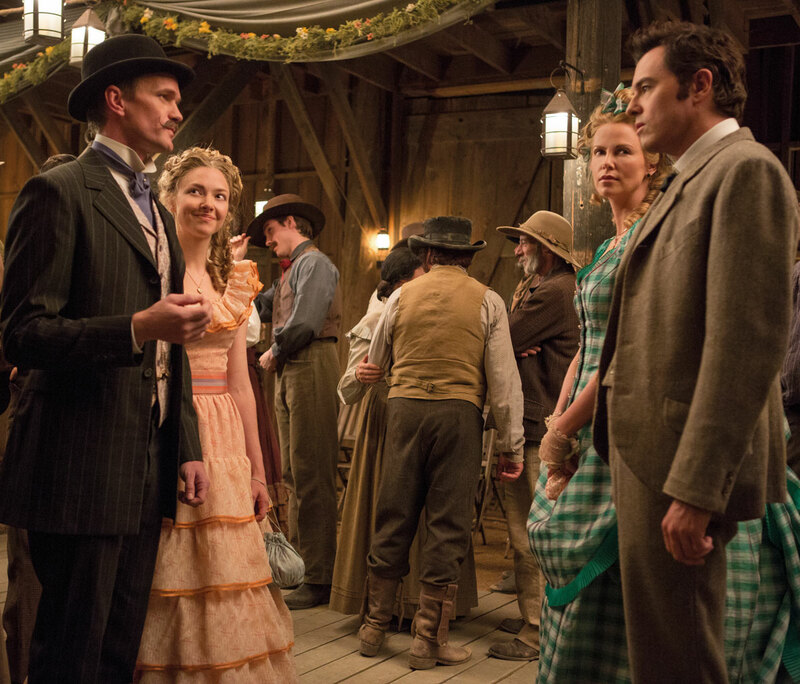 MacFarlane directs, produces and co-writes the story of a cowardly sheep farmer (MacFarlane) who backs out of a gunfight, so his fickle girlfriend (Amanda Seyfried) leaves him for another man. A mysterious woman (Charlize Theron) rides into town and helps him find his courage. Trouble is her husband (Liam Neeson), a notorious outlaw, arrives seeking revenge.